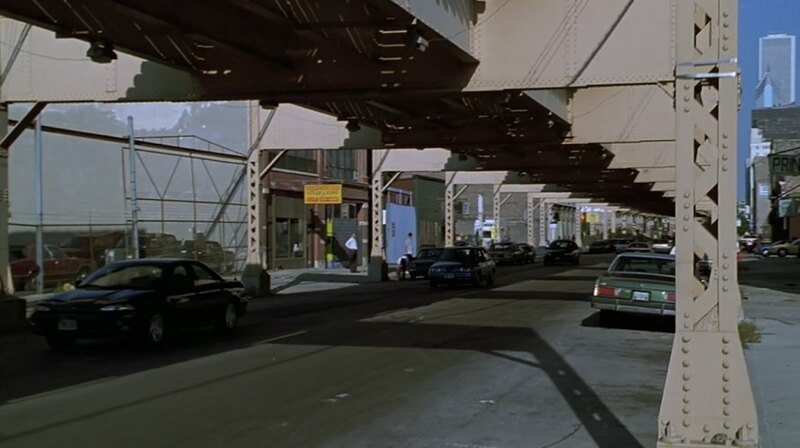 IMCDb.org: 1993 Dodge Intrepid in "Blues Brothers 2000, 1998"
Was this scene filmed in Canada or Chicago? Ok. I just don't know of any elevated train tracks in Canada so I thought this may have been one of the scenes filmed in Chicago. The white skyscraper in the background could be a clue. If its Chicago, that will determine whether this is badged as a Chrysler or Dodge.. Yes, this is somewhere on Lake Street in Chicago.